In my world of libraries, books, and writing, authors are superstars. I’ve had the amazing opportunity to meet VIPs such as Jane Yolen, Kwame Alexander, Dan Santat, and many more. These are moments I’ll remember forever. Giving students an experience like this can be even more powerful. Connecting students with authors is a way to turn even the most reluctant readers into book worms and open voracious readers to books they may have never picked up before. When I say “connecting with authors,” I don’t just mean author visits. While author visits are wonderful, not every school has the means to afford an expense like this. There are many other ways to invite authors into your classroom or library that don’t cost a thing! 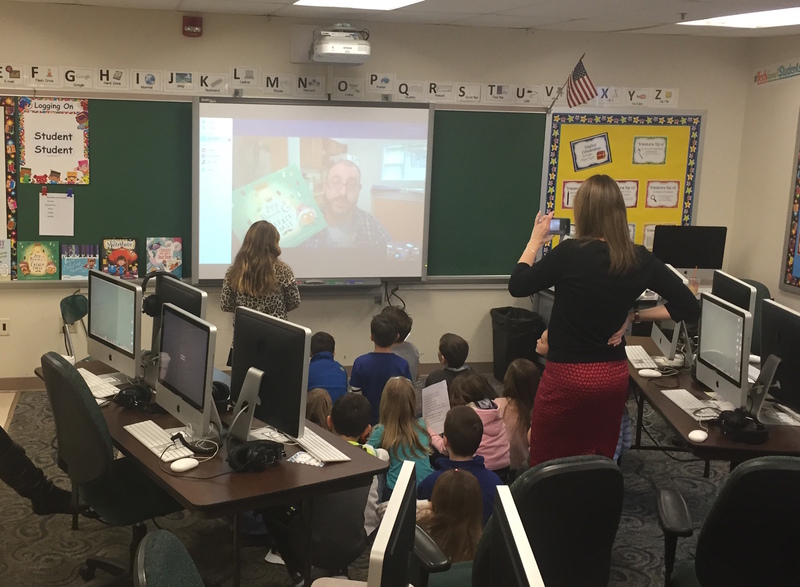 One way to bring authors and students together is through Skype visits. Many authors are happy to chat with students via Skype, and they will do this for free. 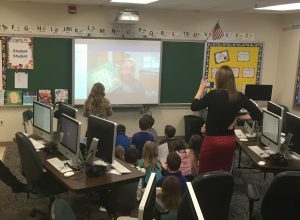 This past February, in honor of World Read Aloud Day, two of my second-grade classes had the pleasure of Skyping with Josh Funk and Tara Lazar. Josh happily answered their many questions and shared where he gets his ideas from and his favorite breakfast food (waffles!). He also read aloud from his new picture book, Pirasaurs!, which doesn’t come out until this fall. The students were amazed that they got to listen to a book that isn’t even a book yet. For the remainder of the year, I couldn’t keep Lady Pancake and Sir French Toast on the shelf. In June, several of these students told me that their favorite part of second grade was talking with Josh Funk. Tara Lazar’s Skype visit was equally memorable. She showed off her large stuffed Norman, the main character from her latest picture book, and read aloud from her skating-themed book Little Red Gliding Hood. The students also got a glimpse of both her writing space and her daughter, who happened to be home sick that day. As with Josh’s book, Tara’s books were permanently checked out for the rest of the year, mostly to students from this class. I even received an email from one of my student’s mothers, saying how much this visit with Tara meant to her daughter. Author Kate Messner maintains a list of authors who do Skype visits for schools on her website. 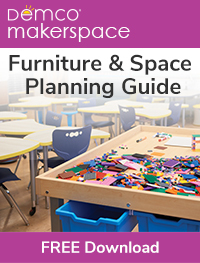 This is an excellent resource if you’re thinking about scheduling one for your students. Another way to connect students with authors is through social media. Many authors have a presence on Twitter and love hearing from their readers. I’ve Tweeted to several of my students’ favorite authors, and more often than not I received responses. This is such a simple thing to do, but the impact on the students is anything but. Seeing the smiles on their faces after I’ve shared these responses is so rewarding. 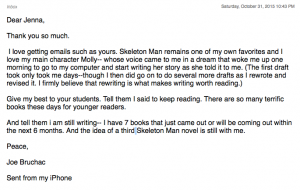 Email is another easy way to join students with authors. 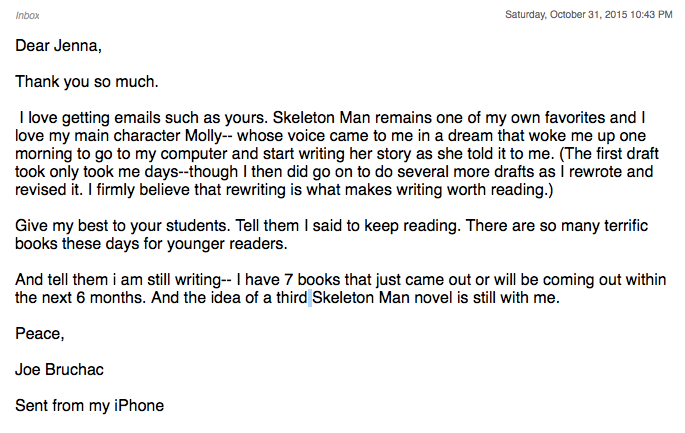 After a particularly rousing discussion of Skeleton Man with my fifth graders, I emailed author Joseph Bruchac. A few days later he responded. My students were thrilled to hear from him, and his books started flying off the library’s shelves. 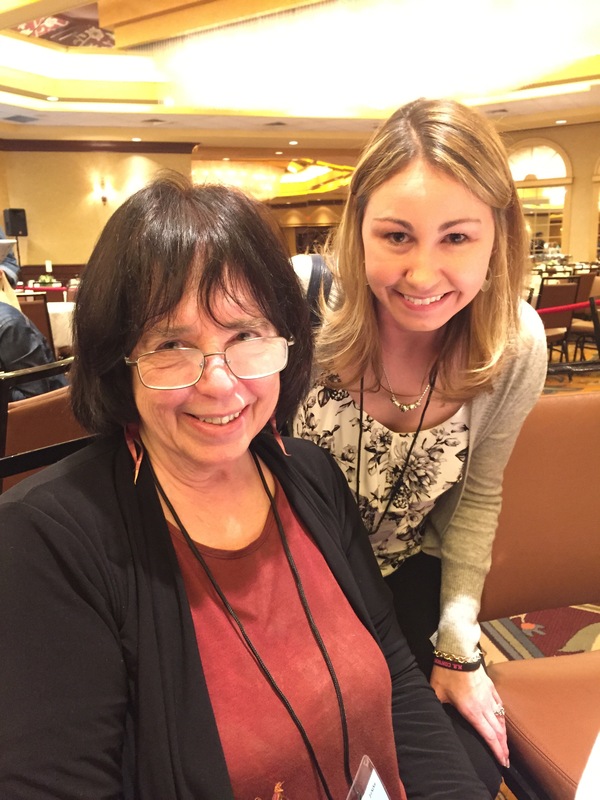 Meeting an author, whether in person or online, makes students feel special. It gives them a personal connection with that author and makes them much more likely to read their books. As you begin to think about the upcoming school year, consider reaching out to some authors. You’ll be amazed at the profound impact it will have on your students. 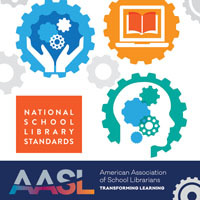 ‹ Do school librarians and educators have an obligation to address social change? Love these suggestions and the link with the authors willing to skype! We had an ELA teacher arrange for a local author to visit the library, and the students LOVED it. Their #1 question for the author was how to get published. Because of the author visit, we’re thinking about starting a writing club where students get together after school to discuss what they have written and maybe even make a zine. 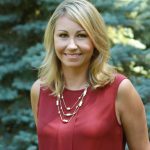 Awesome ideas for teachers! Thank you for this! 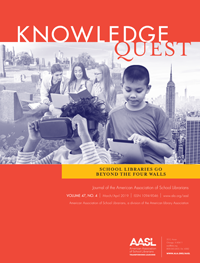 There surely is power in connecting students with authors. Throughout my years as an educator I have seen this happen time and time again.